I was one of those young 'uns that had a bottle of Clinique Happy (fine, stealthily spritzed on my sister's) and wore it like it was the only perfume worth wearing on my sleeve... because that was where I thought I was supposed to put perfume. So, it's quite clear I've never been a big perfume person – that one-quarter-empty bottle of Happy was about the most used fragrance I've ever owned. As such, perfume reviews are obviously not my strong suit. I can't wax lyrical about notes because I can never remember what anything actually smelled like, I can only tell you what kind of memory a scent evokes. When I received this, I sprayed it on (my wrist, this time) and it smelled like high school, which was personally one of the happiest times in my life. To be formal about it though, the press release describes it as "bright and floral with hints of sweetness from mandarin orange and cassis mingled with soft floral notes of water lily, rose, and geranium." Dry notes of sandalwood, musk, and blondewood are somewhere in there as well. I'm sorry, all I smell is perfume flowers, guys. So, why is this a PSA? 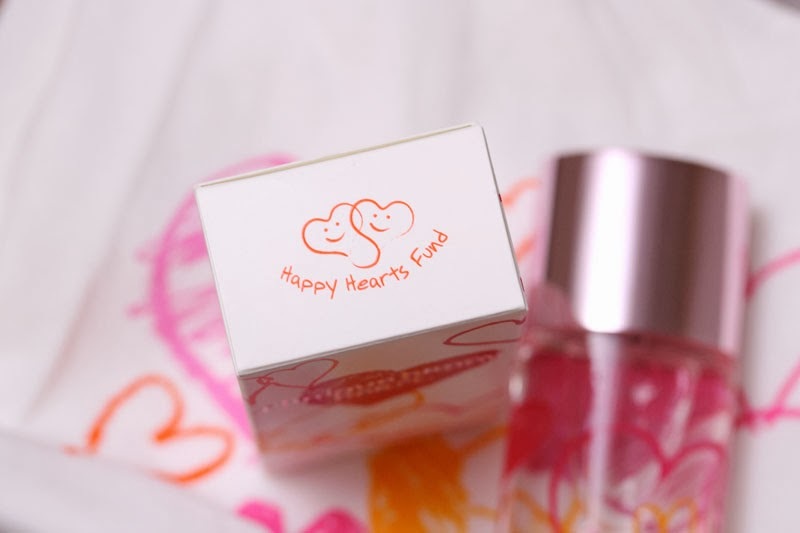 The regular Happy Heart fragrance bottle is actually not as decked out with love as this one. 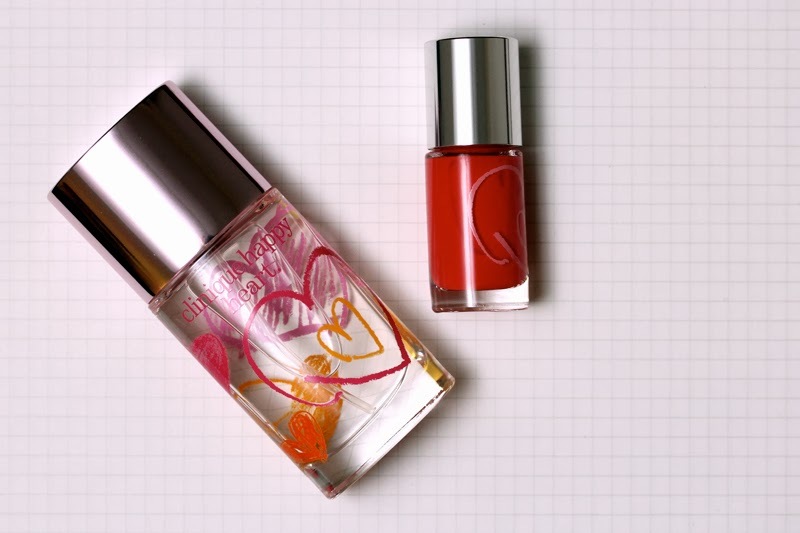 Clinique has been partnering with the Happy Hearts Fund (since November 2012) to build and rebuild schools in areas affected by natural disasters, and a portion of the sale of this limited edition Happy Heart perfume, as well as the coral-red Happy ♥ nail polish will go to the fund. In fact, there's so much love to go around that they also created a limited edition t-shirt, pictured above. The limited edition Clinique Happy Heart Perfume Spray retails for $37, A Different Nail Enamel in Happy ♥ is $12.50, and the t-shirt is $16. Headphones and lipstick, who knew?